Funding for a new community centre and town centre facelift. Sligo has been granted €2 million under Designated Urban Centres Grants Scheme. 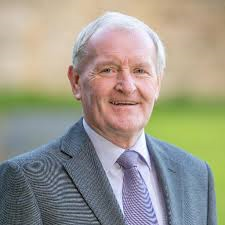 Local Fine Gael TD Tony McLoughlin said the funding has been sanctioned for a community centre at Cranmore and improvements to O’Connell Street. The allocation for O’Connell Street is to be used for “limited vehicular access with pedestrian priority,” he said. The location, he said, will be made “more pedestrian and cyclist friendly by narrowing the traffic carriageways and providing shared space for cyclists. The project at Cranmore “is targeted and focused at regenerating a disadvantaged urban area and promoting sustainable urban development as part of Sligo’s integrated plans to tackle the economic, environment, climate, demographic and social challenges which effect the urban area of Sligo.